Where is my FBA Packing Slip? Usable FBA Packing Slip: Fulfillment by Amazon is a great system, but it is not without its small annoyances and issues. One of these arises when you are shipping items out. When you are shipping multiples of the same product, the last step usually asks you to divide your stock into three (or more) shipments and send them to three different locations. I find this is one of those places where paper works best and there is no obvious way to create a useable FBA packing slip. Other people have other methods I’m sure, but what I’m going to describe is easy and it sure works for me. Print the HTML page out of your browser. Screen captures the page(s) and print the screen captures. The text file has WAY TOO MUCH information to be useful, the HTML page prints are many more pages than you need (and what you do need is split among several different pages and a large order results in lots of Screenshots. Here is a simple way to create that useable FBA packing slip. Step 1 – Click on the “Review and Modify Units” button. Step 3 – Copy (Ctrl-C, Cmd-C or Right Click and pick Copy) so that the highlighted area goes into your computer’s clipboard. Step 5 – Delete some of the information you don’t need. #3 – Leave all the product information down to and including the word “Total” (that tells you that you really did get all the products that should go in this shipment. Step 6 – Print it out. I use it to pack boxes, double-check the quantities in each box, write adjustments I need to go back to my computer to make, the UPS Tracking code etc. Then you can file it as you watch the shipment move through UPS and Amazon. There you have it – A simple way to create a useable FBA Packing Slip. Until Next time, you have a Great Day! Oh Hale Yes! P.S. If you are working to move your business online and it all seems overwhelming, I can help! My team and I are currently working with best “Earn Money Quickly From Home” Program I’ve ever seen (and I’ve seen them ALL!) I strongly urge you to take a look at http://HalePringle.com/ds. You can also take a look around http://HalePringle.com, especially the resources menu option. 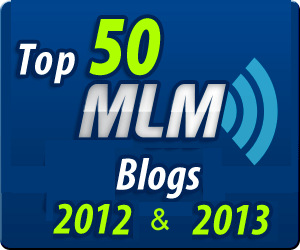 You will see that I specialize in list building, am a Certified Trainer with Ann Sieg and am an award winning blogger. I’ve also written three books on AWeber (AWeber: Quick Start) and over 20 others. You can email me or give me a Skype call. I’ll give you the benefit of my years of experience and many thousands of dollars in training and searching the rabbit hole called Internet Marketing and especially selling physical products online.